Bioenergy, consisting of biomass, biofuels and biogas, is a renewable energy derived from biological sources, such as plant material and animal waste, which store sunlight in the form of chemical energy that can be harnessed to generate electricity, supply heat and produce biofuels. Biomass, which accounts for roughly half of all the renewable energy produced in the United States, comes from agriculture, forest residues, energy crops, algae and plants, such as wood waste, soy, corn kernels, straw, sugarcane and more, which can be used to make liquid fuels, heat or electricity. Biomass is a critical renewable resource for transitioning to a clean, sustainable energy future, however, to avoid significant negative environmental and social impacts, biomass energy must be produced in ways that reduces global warming pollution, protects the environment, does not impact the global food market (e.g. food vs. fuel) and does a better job than the fossil fuels it replaces. According to WWF, depending on which crops are produced, bioenergy developments can lead to deforestation, biodiversity loss, soil erosion, excessive water use, land use conflicts, food shortages and staple food crop price spikes, which is why it's essential that biomass is environmentally, socially and economically sustainable and that misguided policies and mandates do not create costs that outweigh their benefits. With the use of modern and efficient technologies, biomass can offer a source of clean energy that can gradually replace coal and other fossil fuels, bringing environmental benefits, supporting rural development and creating new employment opportunities. According to the Natural Resources Defense Council, biomass energy can be harnessed in a number of ways, such as being burned in power plants to produce heat or electricity, with fewer harmful emissions than coal, fermented to produce fuels, like ethanol, for cars and trucks, digested by bacteria to create methane gas for powering turbines and heated under special conditions, or "gasified," to break down into a mix of gases that can be burned for electricity or used to make a range of products, from diesel to gasoline to chemicals. The cost of energy produced from biomass depends on the type of biomass being utilized, the type of energy being produced, whether it's heat, electricity or fuel, the technology used and the size of the plant. Power plants that burn biomass directly can generate electricity at a cost of 7 to 9 cents per kilowatt-hour, however, improved high-tech "gasification" systems could bring down the cost of biomass energy to 5 cents per kilowatt-hour, which will be cost-competitive with fossil fuel energy. Learn more. When one medium-sized power plant adds sustainably sourced biomass to its mix, it reduces emissions of sulfur dioxide and carbon dioxide and the reduction in its global warming emissions is equivalent to taking 17,000 cars off the road. Learn more. Power plants that burn biomass directly can generate electricity at a cost of 7 to 9 cents per kilowatt-hour, however, improved high-tech "gasification" systems could lower the cost of biomass energy to 5 cents per kilowatt-hour, which will be cost-competitive with fossil fuel energy. László Máthé, Bioenergy Coordinator WWF International, answers the question: Where does bioenergy come from? Sugar cane plantation ready for harvest, São Paulo State, Brazil. Credit: Mariordo. Wikipedia Commons. Click for source. 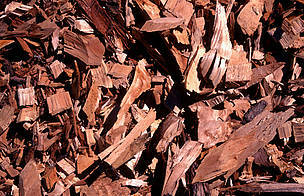 Eucalyptus wood chips. Biomass from forestry and farming has the potential to become a major source for sustainable power generation. Image © Michèle Dépraz / WWF-Canon. Click for source. Unlike coal and other fossil fuels, biomass produces no harmful sulfur or mercury emissions and contains significantly less nitrogen, which means less acid rain, smog and other toxic air pollutants. Learn more. Biomass development allows farmers and forest owners to gain valuable new markets for their crop residues, new energy crops and forest residues. For instance, a 2009 UCS analysis found that beneficial biomass resources could provide one-fourth of the electricity needed to meet a 25-percent-by-2025-National Renewable Electricity Standard, while generating $12 billion in new biomass income for farmers, ranchers, and forest owners and reducing power plant carbon emissions as much as taking 45 million cars off the road. Learn more. Biomass energy can put to use the 39 million tons of crop residues that go to waste in the U.S. each year. Properly harnessed, this waste could produce about 7,500 megawatts of power, which is enough for every home in New England. View the Report. As long as biomass is produced sustainably, it can regrow over a relatively short period of time. To be successful at this, harvesting biomass energy must meet current needs without diminishing the resources or the land's capacity to regrow biomass and recapture carbon. 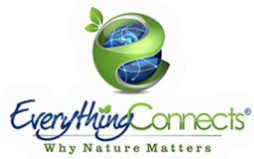 Doing so will allow the biomass to last indefinitely and provide sources of low-carbon energy. Learn more. By growing and harnessing biomass energy at home, the need to import fossil fuels from other states and nations is diminished along with the expenses and exposure to disruptions in that supply. Learn more. Biomass energy can substitute fossil fuel use as a carbon-neutral alternative and greatly reduce greenhouse gas emissions. If biomass is sustainably managed, biomass conversion to energy can result in low or no net carbon dioxide emissions, provided that the carbon dioxide released is rapidly absorbed right back from the atmosphere by growing more biomass. Learn more. Below, Greenpeace details the dangers of unsustainable, destructive biomass energy and why burning trees for energy will harm people, the climate and forests and aims to set the forest bioenergy sector back on track by highlighting the importance of focusing on industrial leftovers and previously cleared land, such as under-utilized farm land, rather than relying directly on forests. Unlike other renewable energy sources, biomass can be converted directly into liquid biofuels, such as ethanol and biodiesel, mainly for use in transportation to help alleviate the greenhouse gas emissions from transportation and to provide people with clean, renewable fuel. However, the use of biofuels must entail the full range of impacts from their production, including land use changes and potential effects on food production and prices. Fuels such as cellulosic ethanol and algae-based fuels are surpassing corn-based ethanol and soy based biodiesel as having a higher greenhouse gas reduction potential and being less taxing on agricultural systems. Truly sustainable biofuels can produce less global warming pollution than gasoline, allows for the investment of energy dollars at home rather than in foreign oil, helps preserve the economic vitality of rural communities since ethanol production plants are owned by farmer-cooperatives and has an important role in a clean energy future - one where the costs of biofuels do not outweigh their benefits. 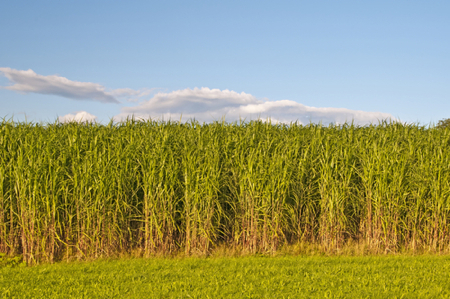 Biofuels, such as switchgrass, can help reduce erosion and nitrogen runoff and can increase soil carbon faster when mowed than when standing. With each "new generation" of biofuels, we progress ever-closer to perfecting the clean energy future. Learn more. Biogas refers to the gas produced by the biological breakdown of organic matter, such as manure from livestock and poultry, which contain valuable nutrients, can be an integral part of soil fertility management and can be converted to renewable energy through anaerobic digesters, combustion or gasification, which can either directly displace natural gas or propane or be burned to generate biopower. Harnessing biogas allows farmers to produce their own electricity, significantly improve air quality, reduce bacteria levels in animal waste, which means that any runoff to surface waters will be less harmful, reduce biochemical oxygen demand, a measure of the ability of organic wastes to remove oxygen from water, which helps protect aquatic ecosystems, reduce the water contamination, odor pollution, and global warming emissions caused by animal waste, which in the United States, accounts for nearly 20% of the nation's carbon dioxide emissions and on a global scale, figures from the Intergovernmental Panel on Climate Change (IPCC) state that agricultural land use contributes 12% of global greenhouse gas emissions and because methane is one of the most potent greenhouse gases, farmers who use biodigesters can get paid by carbon offset companies. Furthermore, according to the U.S. Department of Energy, biogas offsets non-renewable resources, such as coal, oil, and fossil fuel-derived natural gas, creates green jobs, benefits local economies, reduces the cost of complying with EPA combustion requirements for landfill gas, reduces landfill waste and requires less land than aerobic composting. According to the Natural Resources Defense Council, "In 2010, there were about 160 operational biogas recovery systems on American commercial livestock farms, which produced enough electricity to power the equivalent of 41,000 homes. The EPA's AgSTAR program reported in 2010 that about 8,000 U.S. farms could support biogas recovery systems, providing about 1,600 megawatts of energy and reducing emissions of global warming pollution by about 1.8 million metric tons of methane -- the equivalent of taking 6.5 million cars off the road." Learn more.